Samsung Galaxy A5 2017 and Galaxy A7 2017 were unveiled just before the CES 2017 show started in early January, but up to now, the phone hasn’t started selling yet. However, this has just changed in Malaysia where those looking to get their hands on any of these two phones can do as at the time of this writing. While those in this Asian country will be celebrating that they can now buy a Samsung Galaxy A5 2017 or Galaxy A7 2017, those in the UK and Europe in general, are still facing a one week wait. The Galaxy A 2017 series started selling in Russia a couple of weeks ago, making it the first market to see the new handsets. As for those in the UK, the series is already available for pre-orders via MobileFun UK, but the retailer says the phones will not be available in stock until after one week. Unlike the UK where Sammy fans will only be seeing the entry-level Galaxy A3 2017 and Galaxy A5 2017, those in Malaysia can now grab themselves any of the two high-end models – the Galaxy A5 2017 or Galaxy A7 2017. Interestingly, Russia reportedly got all three variants. Now, from the trio, there is no doubt that these two – Samsung Galaxy A5 2017 and Galaxy A7 2017 – are the real deal. Sorry Europe fans, you’ll for sure be missing out big time, unless something changes. The 2017 models of the A series come with an elegant, seamless design that combines metal and glass, with the rear opting for 3D glass that is protected by Corning’s Gorilla Glass technology. You also get IP68 dust and water resistance certification, which means these phones, including the A3 2017, can survive even after spending 30 minutes in water that is 1.5 meters deep. 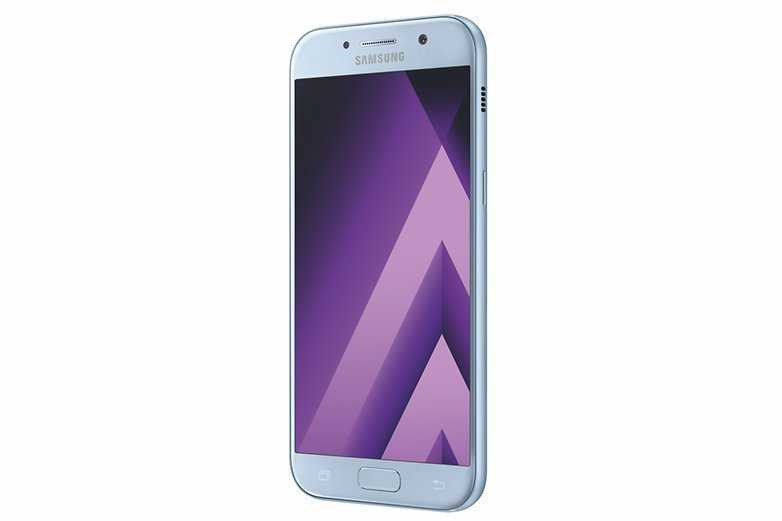 Where the Galaxy A3 2017 comes with a 4.7-inch display screen, the A5 2017 has a 5.2-inch screen while the Galaxy A7 2017 ships with an even larger 5.7-inch screen. Both are Always-On Super AMOLED screens with Full HD resolutions. The two higher end phones also come with the best cameras you can find on any midrange Samsung device. The front has a 16MP shooter and the back has a similar lens. Both share the same f/1.9 aperture, but you’ll obviously get more from the main camera. In Malaysia, Samsung Galaxy A5 2017 is valued at RM 1,699 while the Galaxy A7 2017 costs RM 1,899. These are equivalent to about $382 or £304 and $427 or £340, respectively. As for the UK pricing, the middle offering is valued at £399 while the Galaxy A3 2017 has been listed for £299. 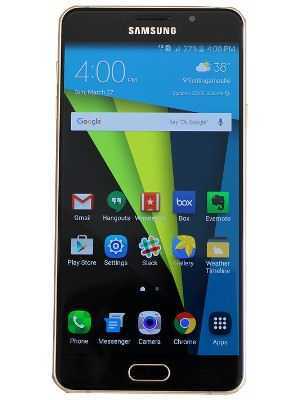 Reports from Russia claim that the phones are priced at an equivalent of $387, $471 and $555. Samsung has not confirmed the global availability of the Galaxy A 2017 series with respect to release dates, but the phones are expected to have a wider global reach in due time. Whether or not those in the UK and Malaysia will at some point be able to buy the all three variants of the Galaxy A 2017 series is still anyone’s guess at the moment. Now that the release of the series has now commenced, we expect to see more launches happening in other markets across the globe, including the U.S. We’ll keep following and let you know if any of Samsung Galaxy A3 2017, Galaxy A5 2017 or Galaxy A7 2017 will soon be at your doorstep.